At this time of year the bird life on Arran is enriched by the arrival of many migrants which have been wintering far to the south in Africa. While many birds are just passing through to breeding grounds further north, others stay to breed. Among these people are familiar with are Cuckoo, Swallow, House Martin and, with their distinctive songs, Chiffchaff and Willow Warbler, to name but a few. 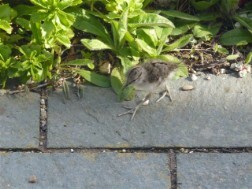 On the coast and by inland fresh water one such summer visitor is the Common Sandpiper. Look out for it. It is a smallish wader with contrasting brown upperparts and white underparts. There is a distinctive white area between the brown folded wing and the clear cut dark breast. Another distinguishing feature is that when standing, it habitually bobs up and down, known as 'teetering'. The flight with stiff, bowed wings is also distinctive. When airborne they tend to be vocal. They sound off with a distinctive three-note, piping-like cry—often represented as "twee-wee-wee." 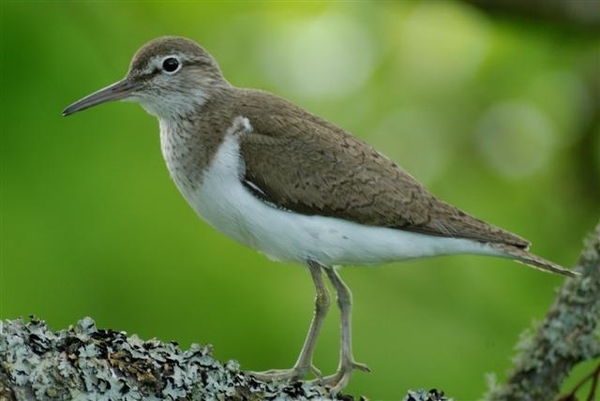 Common Sandpiper has relatively long legs that are put to good use. When seen running in groups the birds appear to display a remarkable coordination of movement. Sandpipers are ground feeders that dine on crustaceans, insects, worms, and other coastal creatures. They retrieve them by meticulously pecking and probing with their short bills. The bird is a European and Asian species, but is closely related to the similar-looking Spotted Sandpiper of the Americas, one of which turned up in Clauchlands in May 2015. The Common Sandpiper breeds in northern Europe and winters in Africa south of the Sahara.on our shores. 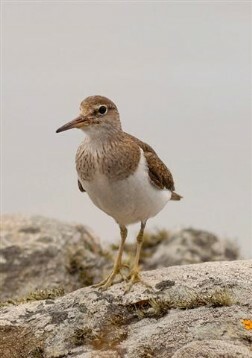 Common Sandpiper, like other coastal breeders, are vulnerable to disturbance. On our shores and beaches, if you are being scolded by flying birds and there is a great racket all around, be aware that birds are nesting on the ground above the tide line. Alternatively birds calling in a distressed way or feigning a broken wing are trying to lead you away from a nest or young which are close by. Their eggs and young are superbly camouflaged to avoid detection and may be easily trampled upon. Move away. Wherever possible walk close to the water’s edge and please, at this time of year, keep your dog on its lead. 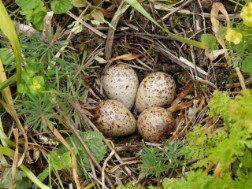 If you notice any disturbance to nesting birds please report it to the local police as soon as possible.Be aware that under the Nature Conservation (Scotland) Act 2004 it is a criminal offence to intentionally or recklessly damage or destroy the nest of any wild bird while it is being built or used. Perhaps as a result of disturbance on the shore, some Common Sandpipers have been reported breeding in gardens close to the shore in Arran. For example for three years in a row, a pair of Common Sandpiper have successfully nested in a garden in Blackwaterfoot. In 2016 a garden in Lamlash and one in Corrie both had similar success from these summer visiting shore birds.